What Does The Best Bond Cleaning In Hamilton Cover? Finding and selecting reliable house cleaning in Hamilton is not easy. The most common questions we get asked by people like yourself have been collated below to assist you in making a smart decision. 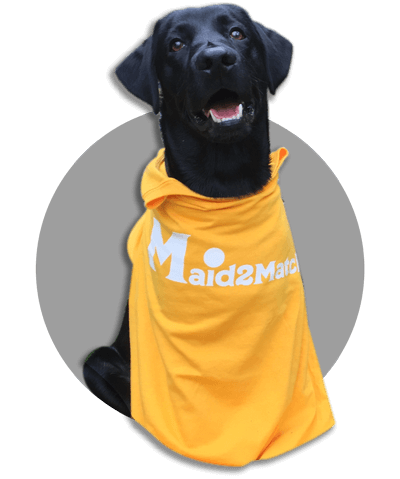 WHY ARE MAID2MATCH HAMILTON’S BEST AT VACATE CLEANING? The truth is great bond cleaners possess a different skill set than regular house cleaners and therefore requires specific experience, dedication, and a first-class cleaning checklist. At Maid2Match, we personally vet all our cleaners, after having them complete a three-part application form. We provide extensive support and have crafted the most effective bond cleaning checklist you’ll find. Look no further than our experienced and insured experts for your end of bond cleaning. Located in the northern part of Brisbane, on the north shore of Brisbane River, the suburb of Hamilton is quaintly set. The hilly area offers picturesque sceneries, along with a direct view of Brisbane CBD. Although it’s heavily debated, it is strongly assumed that Gustavus Hamilton was the first businessman to build a hotel in this suburb. Since one of its lessees, Mrs Warren, ended up marrying a gentleman with the same last name, Hamilton Hotel kept its name and is still a landmark today. In its earlier days, the suburb of Hamilton was very appreciated by the upper class, and many clergyman and aristocrats built their houses here. That’s why this suburb is an “old wealth” area, with iconic mansions and exquisite vistas. The birthplace of Sir Charles Kingsford Smith, who made the first transpacific flight, Hamilton also hosts an imposing World War I memorial near the river banks. You can view other landmarks as well, like Toorak house on 28 Annie Street, with its impressive architecture and story. Other heritage-listed houses are Lochiel on 6 Hillside Crescent, El Nido on 194 Kingsford Smith Drive and Palma Rosa on 9 Queens Road.